Organisations demonise whistleblowers leaving some suicidal in an attempt to paint them as mentally ill and discredit their claims, according to new research, co-authored by an academic from Queen’s. In a working paper entitled How Organizations Use Mental Health to Discipline Whistleblowers and Undermine their Message, Dr Kate Kenny, Reader in Management in Queen’s Management School, and Marianna Fotaki, Professor of Business Ethics at Warwick Business School, concluded that mental illness is often used as a weapon to defame and neutralise whistleblowers who disclose fraud or mismanagement. Whistleblowers are protected by law in the UK so should expect to be treated fairly and without losing their job, after revealing wrongdoing in their work place. The study found, however, that whistleblowers often did lose their jobs either indirectly by being pressured out or directly by being dismissed. Many also suffered mental illness through depression, panic attacks and anxiety as a result of retaliation through bullying, demotion, isolation, and harassment. Co-investigator Dr Kenny (pictured above) said: "As long as we as a society play along and turn a blind eye to the whistleblower's plight, the organisations, who are in reality the true transgressors, will continue to have their way." Writing on whistleblowing for The Conversation last year, Dr Kenny said: “Whistleblowers perform a vital role in today’s world. They alert the public to financial fraud and abuse in institutions and to potential environmental disasters. In the 25 interviews with whistleblowers from the UK, Europe and the US, Professor Fotaki and Dr Kenny found the initial stage of secretly obtaining information was stressful, but when things went public, battling with the organisation was when many were pushed to breaking point. "Many find the stresses too much to cope with and they just give up," said Professor Fotaki. "They are forced to settle and not take the matter any further because the stress is overwhelming. Some even took the self-management of mental health to the extreme of not wanting it mentioned during interviews with health professionals for fear of it damaging their reputation. Whistleblowers, usually admired by the public for their bravery in speaking out, often find that they cannot get work in their area of expertise and end up with the ‘double whammy’ of no formal financial support. The cost of disclosing can, ultimately, be bankruptcy. While legislation does exist to provide for some compensation (though not all are successful in bringing a case) advocacy groups like Whistleblowers UK have proposed that a support fund be created, generated from the fines paid by organisations when they are penalised for wrongdoing. Whatever the outcome of this suggestion, whistleblowers have much to consider before they ultimately blow the whistle. Read full story Whistleblowers' mental health attacked by firms in Phys.Org. 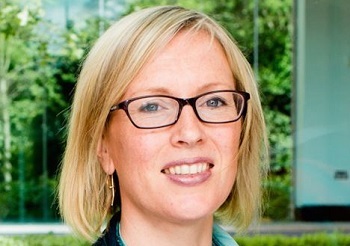 Contact details for Dr Kate Kenny: Queen's School of Management, tel: +44 (0)28 9097 5619.